The described process for the Mug printingis a process described in an ideal way. Of course, not every printing process goes according to “Scheme F” – in the end, even more complex inquiries in many cases lead to a unique mug layout. We are happy to assist with any questions or any ambiguity at any time with words and deeds. Due to years of experience in pre-press and completion, the team can (almost) answer any question promptly. To answer more complex inquiries, a partner network is also available to companies, some of which have been dealing with the qualitative implementation of demanding print motifs for several decades. There are many ways to print a drinking cup. These vary in the disposable and reusable area, but most printing methods have in common that a quality as in photo printing is realized only in exceptional cases. The printing process that is most prevalent in the printing of disposable cups is the flexorotation process, which in turn is a special form of the so-called dry offset process. Digital printing revolutionized the printing market in the “noughties” so to speak. The fact that this unique printing form cannot yet (yet) be transferred to the printing of the standard cup shapes, applies for the printing process of a drinking cup until further notice “one colour = one colour”. This means that each colour of a print layout is transferred to the beaker in a separate step. For the transfer of each colour a separate cliché must be made. 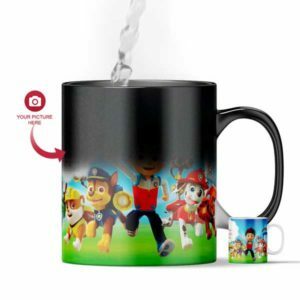 Since the quality of this step has a significant impact on the quality of the mug print, the system works exclusively with cliché makers, who have many years of experience in the field. In all-cup, some cup shapes are already printable from 1,000 pieces.